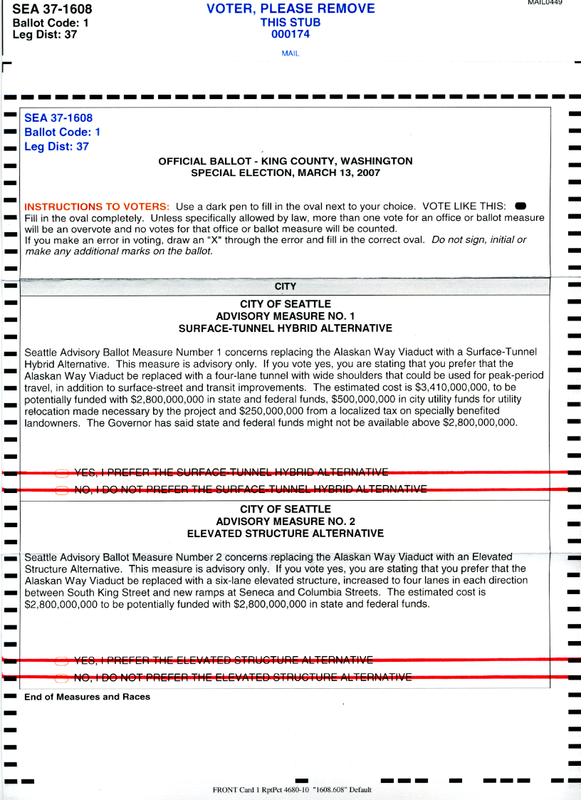 Today doth Our Hero prepare his ballot on the State Route 99 Replacement question? A tunnel? A new viaduct? Sometimes I wish that we could have a tunnel with a retractable roof like any world class city would have. Alas! does that mean you are voting no to everything, or voting no to voting? and i'm not putting postage on it.